If you’re a regular reader (or just an occasional reader) of the Tavern, make sure you check back at least a couple times during the day as there is a ton of stuff coming up over the next several days. Midweek action, World Cup pot previews, instructions on the upcoming CoverItLive live blog experiment, the actual draw, and weekend action (plus whatever random news hits the wire). So, there will likely be at least two posts a day (spaced a few hours apart). Don’t miss anything! The pot 2 preview will be up later, as FIFA confirmed the pots earlier. But for now there’s midweek action to talk about as the Premier League begins in annual insane scheduling month of December, there’s cup action in Germany, and the promotion-relegation playoff in Korea. Also, some potential new Koreans in Europe. The three Germany matches are for the DFB Pokal (German Cup). I suspect that Son Heung-Min will play as he’s played in the previous two rounds and due to the injury of Sidney Sam, Hyypia may not want to change too much. However, with the amount of games lately and an extremely important Champions League match next week, it’s possible Son could get a rest. Koo Ja-Cheol, as mentioned earlier, is still out injured so he will not feature. Hong Jeong-Ho is kind of a toss up. Cup matches usually are a chance for young and reserve players to get a run out, but the opponents are Bayern Munich, so a more experienced hand may be chosen. The Premier League is just the next round of matches. Park Chu-Young is unlikely to make the 18 for Arsenal’s match against Hull City. Kim Bo-Kyung was decent against Arsenal last weekend, and may get another chance against Stoke. Ki Sung-Yueng was solid on the weekend and will surely start against Chelsea. Ji Dong-Won continues to be on the outside looking in, but Gus Poyet had some kind words for his training. Yesterday was busy, and I didn’t get this up in time to mention the English Championship matches. Lee Chung-Yong was on the bench for Bolton, who lost to Huddersfield 1-0. Lee came on in the 56′ minute for Robert Hall. Bolton remain on 19 points and near the relegation zone. Yoon Suk-Young remains injured, but his two teams were in action (I believe Yoon is still with Doncaster). Doncaster drew 1-1 with Birmingham City, while Yoon’s parent club, QPR, won their match with AFC Bournemouth 3-0. Tonight in Korea the playoff between the 12th place K League Classic team, Gangwon FC, and the K League Challenge champion, Sangju Sangmu, will begin. The playoff is a two-legged tie, with the first leg tonight (7PM KST) in Sangju. The return leg will be in three days time (Saturday) in Gangneung. Sangju has been in good form lately, while Gangwon has been very up and down. Sangju will be optimistic in getting a good result tonight to take north on the weekend. Yesterday, it was reported on Germany’s Sky Sports that Hamburg were on the verge on signing two Korean youths. They would be 17 year old Kwon Ro-An and 18 year old Kim Dong-Soo. Kwon Ro-An plays for Incheon United’s U-18 team (Daegun High School) as a forward. Media has apparently dubbed him ‘the second Son Heung-Min’. There isn’t too much video of Kwon around (yet), but the two I did see are quite short. I don’t know if there’s anything to the comparison to Son, but he looks like he may have decent finishing ability. There seems to be a little less out there on the other player, Kim Dong-Soo. But, I believe he is a defender, who has represented Korea at the youth level (U-20). If the KFA profile is him, then he would appear to be a potential center back. Both apparently will sign three-year deals with the German club that supposedly guarantees they will move from the youth team to the first team after the 2014-15 season. There contract will expire in 2017. Hopefully the two can develop into Son Heung-Min-esque players, and not face rot like Park Jung-Bin, who is currently warming the bench in the 2.Bundesliga. 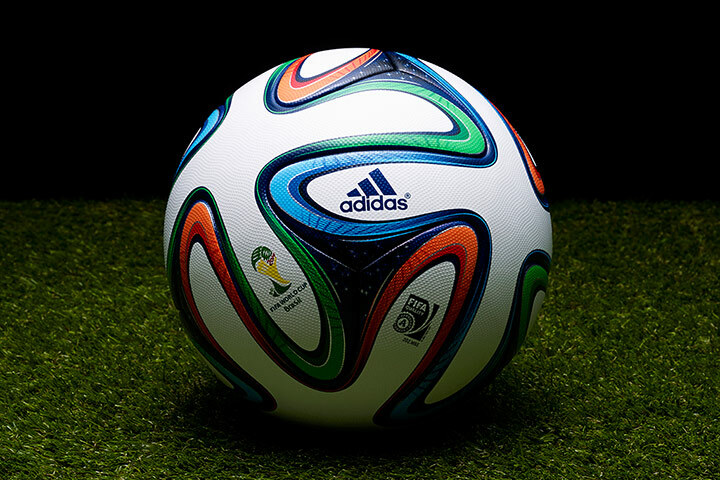 If you’re someone who needs the latest in football stuff, Adidas has unveiled the official 2014 World Cup ball. The Brazuca. Only $160 in the US. I’ve already heard Hamburg fans say that Kwon is better than Son lol. Sounds like some jealousy/anger talking. When is the next podcast/mailbag? Let me get back to you on that. We’re trying to see if we can work out our schedules to do one after the draw, but it’s still up in the air. If we can’t do a timely podcast, then a mailbag will be put out instead. ok sounds good! I bet people have lots of questions following the pot draw this week.